City Club Online Casino features some of the most popular online casino like table games such as roulette, blackjack and baccarat, games such as video poker and slots, and even sports betting. City Club Casino is powered by Playtech which is the most advanced gaming software on the market right now, a fact which grants City Club the edge over other online casinos. City Club Casino Games results are all 100% random at nature and are constantly tested and monitored to ensure they remain that way thus providing our players the highest levels of fair gaming. City Club Casino Games can be played both with a desktop software and a flash version of our gaming software for players who do not wish to install the software onto their PC. Simply go to our City Club Download page to download and install the software or choose the option of playing on browser using the flash version of our City Club Casino Software. Both versions will look and feel the same, giving you the best casino experience you will ever have playing an online casino. The same payment options are available, including fiat and Bitcoin through the Bitcoin-accepting processors. Whether you wish to enjoy the wide variety of City Club Casino Games using the desktop software or the flash version, register at City Club Casino and you’re ready to get ahead with your game. City Club Blackjack – The famous card game where a player must hit 21, have the dealer bust or hit even to get the bet back. 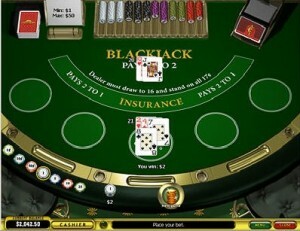 Blackjack is one of the most exciting and enjoyable casino games of all times and City Club Blackjack comes in more than 6 different versions such as Classic Blackjack, Surrender Blackjack, 21 duel Blackjack, Blackjack Switch and more. Seat over for a game of blackjack and see the chips pile up as you beat the dealer, have him bust or have your blackjack to automatically win any hand. City Club Roulette – One of the most enjoyable table games ever to be presented by casinos is the game of Roulette. 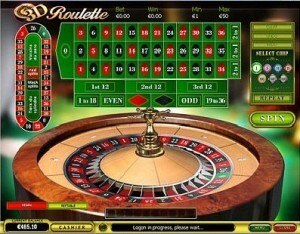 Whether it’s an American or European Roulette the fun and thrill are guaranteed. Have a go with City Club Roulette and pick your lucky numbers to earn you a jackpot you never dreamed of. Play on odds and probabilities, try spread betting, bet on a certain color or pick trios from which just one number must come up. You can even bet on half of the Roulette numbers and get yourself a 50-50 shot. You’ll love the game of Roulette. 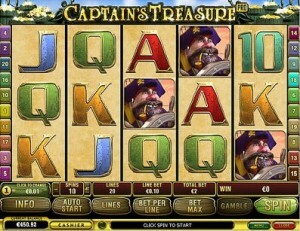 Definitely one of the best City Club Casino Games. City Club Slots – A renowned landmark in every casino, slots machines are far from the old fruity combination machines and are now revolving numerous themes and concepts such as sports, movies, comics, games, exotica and more. You can play the three reeled or the five reeled City Club Slots and even win the jackpot playing progressive slots where prizes can soar to several millions dollars and euros! Play small stakes or try your luck betting on the bigger stakes for bigger prizes. We guarantee you you won’t have one moment of boredom with our slots games. Slots are the most popular among City Club Casino Games for every player is entitles for a City Club Casino Bonus when playing City Club Slots. City Club Baccarat – A tricky but enjoyable card game based on comparing cards and and cards values. The game may seem similar to blackjack in terms of players vs. bankers (dealers) but it is much more complicated and requires a great deal of concentration and skills. Play City Club Baccarat for the most exciting card/table game ever to be played by casino players. Discover why high rollers and big shot gamblers fancy this game so much and get your chance to win the big pot beating the banker at baccarat. 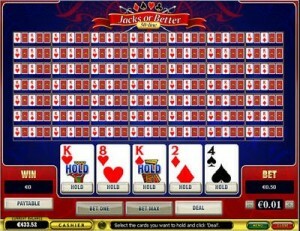 City Club Video Poker – A new type of poker for those who love poker and love to play it alone. 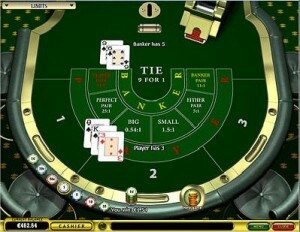 Unlike the multi-player poker game here you go against the computer which greatly increases your chances of winning the game. Five card are dealt and you choose whether you keep them or swap them with a another set of up to three cards to get the better hand. With City Club Video Poker you can play Jacks or Better, Wild Deuces or Aces and Faces, each of these will give the same thrill and excitement you’ve been looking for. City Club Sports Betting – There’s no better way to add more thrill to your favorite sporting events other than bringing in betting. Thankfully, City Club now has a sports betting section. This contains some of the most popular sports like basketball, football, tennis, and boxing. In addition, City Club acts as both a fiat sportsbook and Bitcoin sportsbook thanks to the multiple payment options offered. Most City Club Casino Games come with a special bonus to help you get started. Look for our City Club Bonus Code for more details. No matter which casino game you fancy, don’t get left behind, play City Club Casino Games now. You can also choose to play with City Club Live Casino where you’ll be playing the same casino games but with a live dealer.